We are now stocking ‘Fire Dragons’ made by my brother Graham and his wife Jacky at ‘Really Rustic’. They harvest these large logs from their own sustainable forest in Wales making a wide variety of products from the wood including these Swedish log candles that they have branded as Welsh ‘Fire Dragons’. 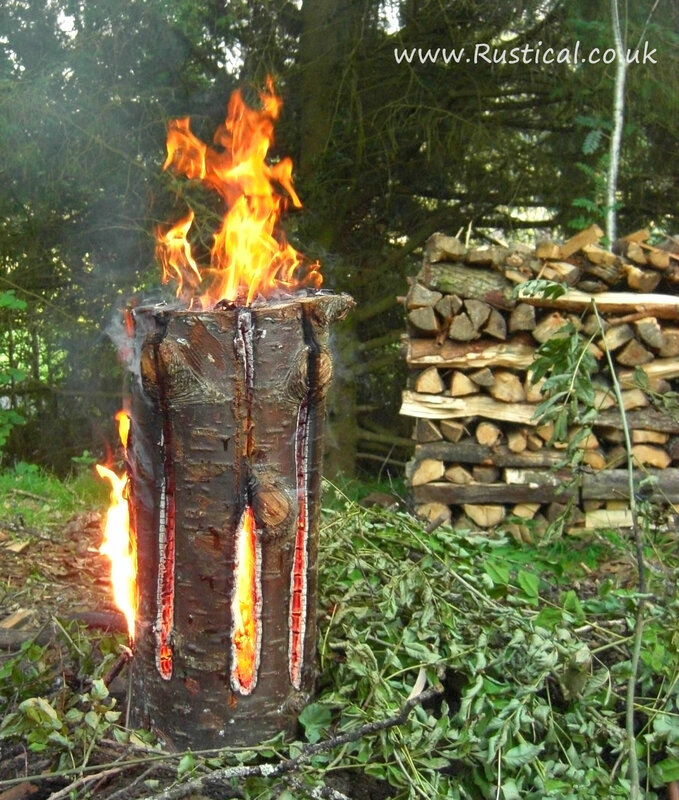 The Fire Dragon is their take on the classic woodsman’s Swedish log candle (sometimes called a Swedish Fire Torch) which is a very simple design: a large upright log with three downward cuts that run almost the entire length of the log. They are lit by inserting a small amount of kindling into the top (or just pop in a bit of firelighter) and they quickly get going to provide light and heat into the evening. 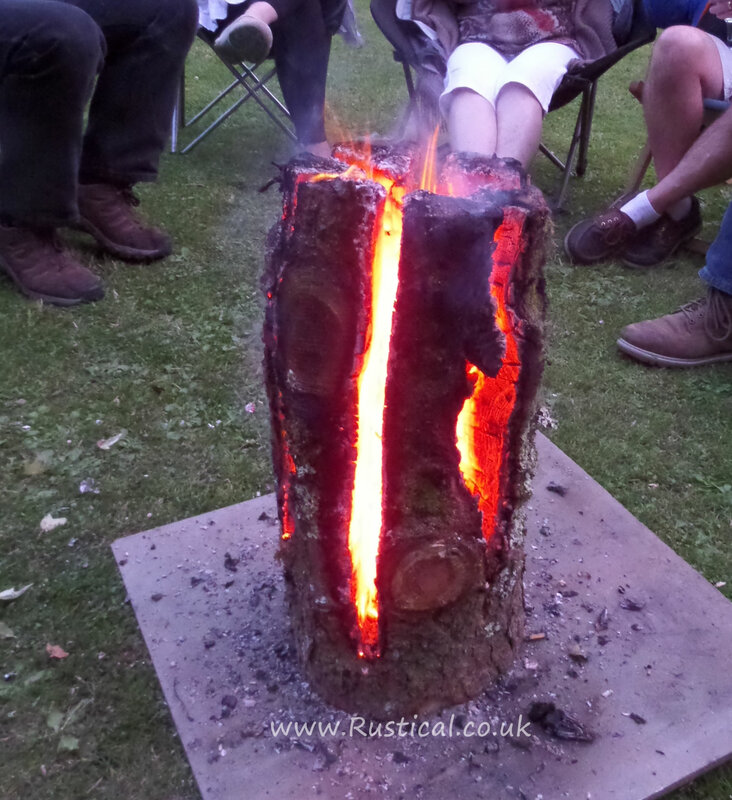 Ideal for use on the patio or in the garden although a common sense approach is needed; flames can blow a considerable distance in high winds and burning pieces of log can fall away from the main log so the Fire Dragon Log must be sat on a non flammable surface. Nothing flammable should be allowed into a 4 meter radius around the burning log and it should not be left unattended. Do not let children go too close to the fire or leave them to attend it unsupervised by an adult. Available for collection from Hesketh Bank, Lancashire a Fire Dragon costs just £15 for one or £25 for two.